A ‘floating island’ unit is a plant introduced on the surface of the water, to absorb phosphorous and nitrogen from sewage water. 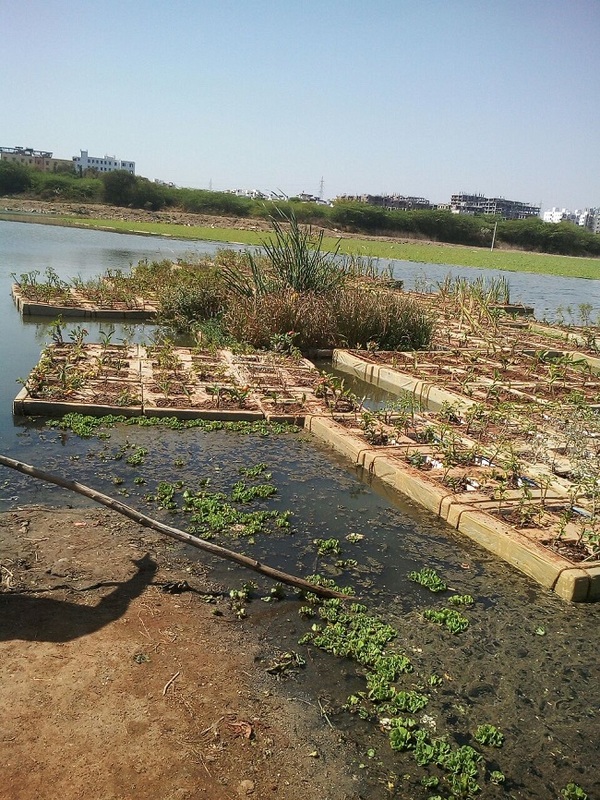 Close to two years after ‘floating islands’ were introduced into Hyderabad’s historic Neknampur Lake, the water body has seen considerable results. Once a sewage and dumping ground, activist Madhulika Choudhary and her NGO Dhruvansh have been working on the revival of the lake since 2016. The first ‘floating island’ was introduced into the lake in May last year. 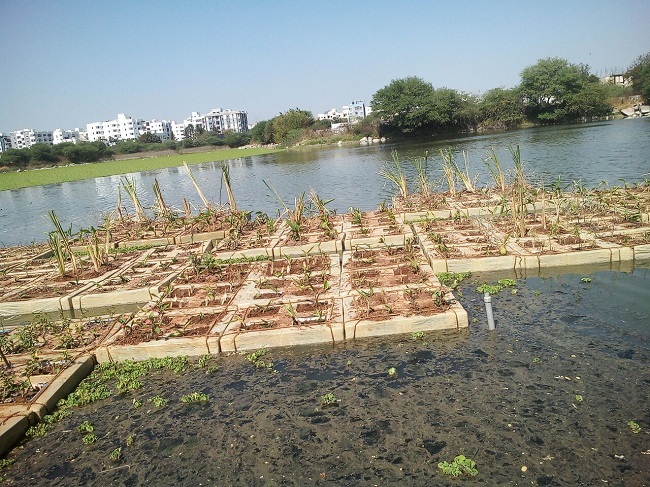 Today the lake holds 3,500 such saplings. A ‘floating island’ unit, as Madhulika explains, is essentially a plant which is introduced on the floating surface of the water. The plant’s job is to absorb the high content of phosphorous and nitrogen found in the sewage water entering the lake, so that the lake remains considerably cleaner and can support aquatic life. The base of the ‘island’ is made out of thermocol and plastic bottles – light, buoyant material that does not react with water. Some soil is added on top to enable the plants to grow. 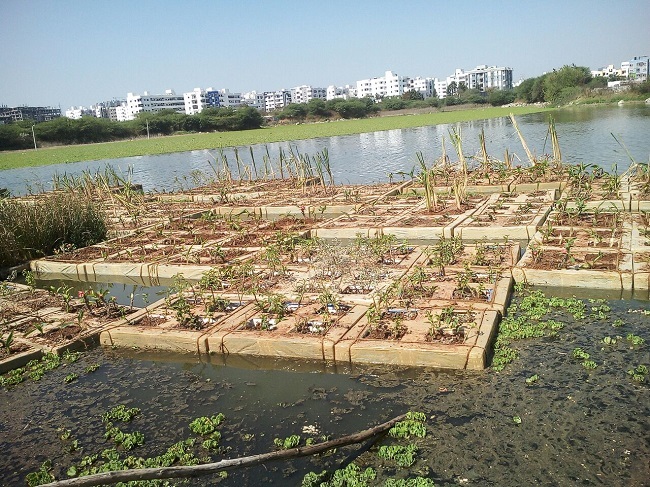 To celebrate World Wetland Day on February 2, Dhruvansh organised an event to showcase the 2,500 sq ft floating island. 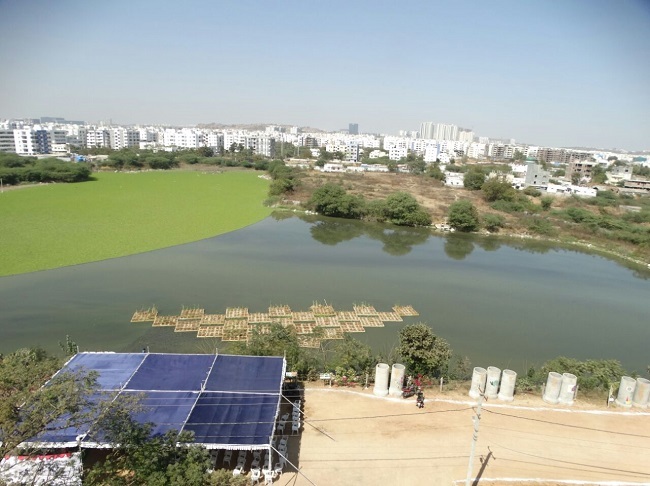 As a result of the complete stopping of garbage and debris dumping, mass scale plantation around the lake and introduction of aerators, the quality of water in the lake has been improving constantly, Madhulika said. The lake also holds historical significance – once known as Ibrahim Cheruvu, it has existed opposite the Taramati Baradari for more than 400 years now. “The bio-diversity of the lake includes 132 species of plants, 178 species of birds, 12 species of mammals, 21 species of reptiles and amphibians, and 41 species of insects, including butterflies,” Madhulika said. In addition to the various species of plants growing on the floating units, some flowering species have also been included. Additionally, the plants have been neatly trimmed to ensure that they absorb the nutrients and grow again. “For now, we plan to observe these units and see the results. We do have plans to set more such floating islands in place,” Madhulika says.